Home / Local News - Local Accident & Injury Articles / San Diego / In San Diego, who is liable for passenger injuries in a rental truck accident? A man was airlifted after being injured in a rental truck accident in which the driver was killed — who’s responsible? This past Mother’s Day, shortly after 8:30 a.m, a moving truck owned by Moving Stars, Inc. was being driven by Kevin Bussey, 45, on the southbound Interstate 15 in Victorville, when it smashed through a guardrail and into a street sign. Bussey, who was not wearing a seatbelt, was thrown from the vehicle and killed instantly. His passenger, a man in his 40s, was also injured, and had to be airlifted to a local hospital for treatment. Generally speaking, rental vehicle companies are not held liable for the actions of drivers who rent their cars. In the past, some states allowed rental vehicle companies to be sued under the doctrine of “vicarious liability,” but this was outlawed at the federal level by the Graves Amendment of 2005. There are a few circumstances where liability can be traced to the rental vehicle company, such as failure to keep their vehicle in good condition, or if they rented a vehicle to someone lacking a valid driver’s license without a proper background check. However, if the rental vehicle company performed all their reasonable legal duties, in the event of an accident that was the driver’s fault, the driver will be held financially liable, just as they would in any other car accident. Insurance for rental vehicles is a complex matter, and varies depending on whether the vehicle is a car or a truck. Most car insurance companies automatically cover rental cars, but do not cover trucks or other large vehicles. It is the same for credit card companies that also cover rental car purchases made with their card. 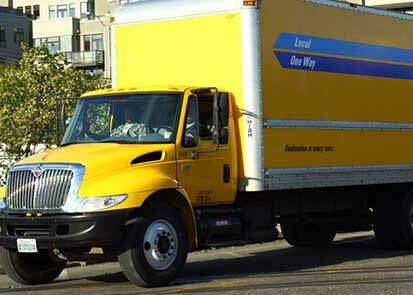 Truck renters must purchase supplemental rental vehicle insurance if they want coverage. If you are seriously injured in an accident, and the driver dies, who pays for damages? In a typical passenger accident, the passenger can file a third party claim against the insurance company of the driver responsible for the accident, whether that is the driver of the car they were in, or the driver of the other car. Passengers are protected from liability in car accidents, but it can still be difficult sometimes to recover damages. With a rental vehicle accident, the situation is much the same. The injured passenger can typically file a claim against the rental vehicle driver’s insurance, and seek to recover damages up to the limits of that policy. What does a truck renter’s insurance typically cover in the case of a passenger accident injury? It is important not only to buy rental vehicle insurance, but to buy the right type of coverage. There are different types of rental vehicle insurance that cover damage to the vehicle, personal effects, cargo, and even towing. However, the type of insurance you will need in the event of an injury is supplemental liability insurance, which, as the name suggests, supplements your initial insurance policy in the event of a liability claim. Typically, people purchase supplemental liability insurance at high limits, of up to $1 million, but it will only cover claims for which the driver is responsible. If you have been injured in an accident with a rental vehicle, consider speaking to an accident attorney as soon as possible, to find out what your cases is worth and the damages to which you are entitled.